Tourist points near Mehrangarh Fort are Rao Jodha Desert Rock Park and Chamunda Mata Temple. 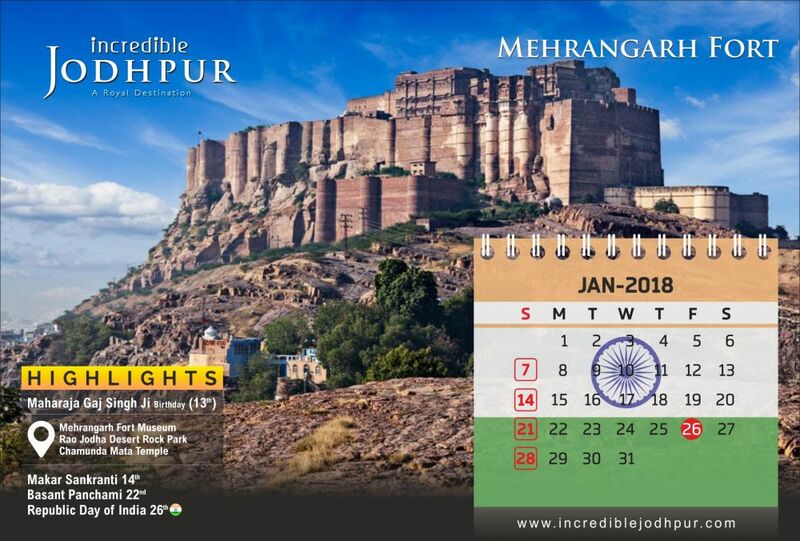 Incredible Jodhpur is one of the leading online portal which provides information on Jodhpur tourism which includes best places to see, eat, stay and so on. The primary goal of the web portal is to promote tourism in all the cities of Rajasthan. Incredible Jodhpur helps tourists in providing right information according to their needs. Incredible Jodhpur is one of the leading online portal which provides information on Jodhpur tourism which includes best places to see, eat, stay and so on. Disclaimer: All rights including copyright in this Site and all of the information and materials found thereon, including without limitation the HTML code and any other code used to generate any portion of this Site, belong to Incredible Jodhpur or third parties who have granted a license to Incredible Jodhpur to use their property. None of the content, information and materials found on this site is to be copied, reproduced, republished, distributed, sold, transferred or modified without Incredible Jodhpur's prior expressed written permission. No derivative works or compilations are to be made of any of the content, information or materials found on this Site without Incredible Jodhpur's prior expressed written permission. Any trademarks, visual images, video images, logos, service marks, official marks or other marks displayed on this Site are the property of Incredible Jodhpur or have been licensed from third parties and nothing on this Site is to be construed as granting, whether by implication, estoppels or otherwise, any license or other right to use any such trademarks, logos, service marks, official marks or other marks without the prior express written permission of their owners.